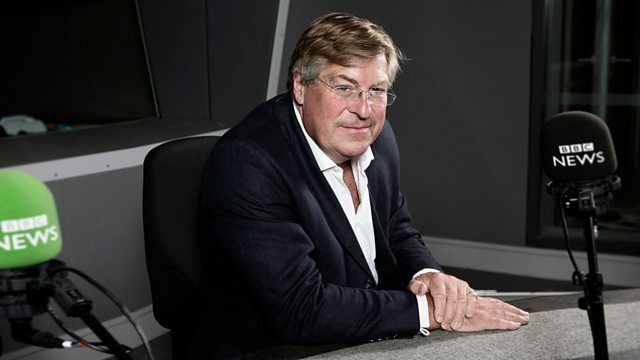 Sunday morning religious news and current affairs programme, presented by Edward Stourton. A hundred major charities have launched the campaign 'Enough Food for Everyone IF' World Vision Chief Exec Justin Byworth has just returned from the Congo and explains why the campaign is so important now. Love thy neighbour - but only if thy neighbour shares your faith? Robert Hoffman from Nottingham University talks about his research on how faith shapes behaviour toward others. Demos say more faith groups should be contracted to deliver local government welfare services. Jonathan Birdwell author of the report will debate with Andrew Copson from the Humanist society. The Church of England is about to celebrate the Feast of King Charles The Martyr Kati Whitaker reports on why Charles I is seen as a martyr. Dr Matthew Feldman from Teeside University discusses plans to open a new research centre dedicated to studying the extremist far right and an increase in anti-Islamic attacks on Muslims. MP Peter Bone has proposed a bill to restore charitable status to all religious groups. Trevor Barnes reports. Jewish artist, Chava Rosenzweig, discusses her commission for Imperial War Museum North to mark Holocaust Memorial Day with Edward Stourton. Angus Kennedy from the Battle of ideas says that Holocaust Memorial Day is a made up idea to sugar coat history David Cesarnai one of the founders of the Holocaust Memorial Day trust disputes this.